Join the EMBERS Challenge Köln and become a test user! Download the Bike Citizens app*, use it during the test period, and get the Cologne City Package within the Bike Citizens app for free! * Participating in the campaign within the Bike Citizens app is only applicable for Android phones. We are looking for cycling enthusiasts willing to try out new features in our app for a limited time period. Join as a test user and help us to enhance the cycling experience in Cologne. Now prolonged until November 15th, 2018. Register an account and download the Cologne City Package within the app for free. Get on your bike and track your rides with the app. Report any road obstructions, and help improving the bicycle traffic in your city. Show the Cologne map within the Bike Citizens app and pick-up your free FINN, a smartphone mount for your bike, at the bike shop staub&teer starting from October 1st, 2018. You can find them at Severinstraße 49, 50678 Köln. Only 200 pieces are available. Be quick! 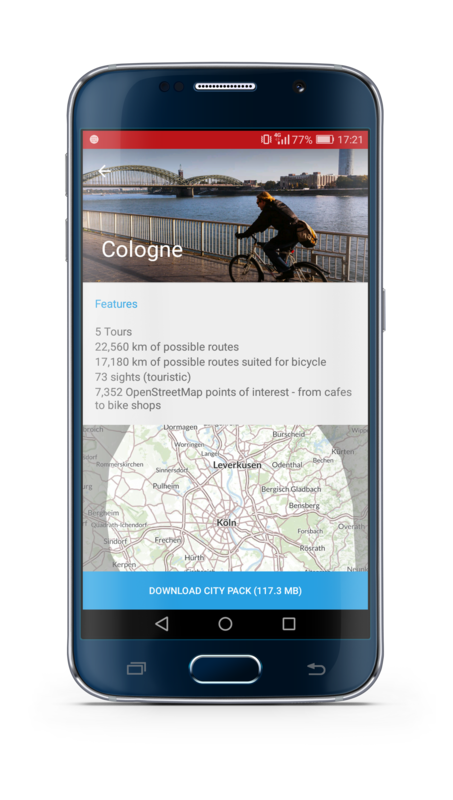 Keep the Cologne City Package within the Bike Citizens app even after the test period! 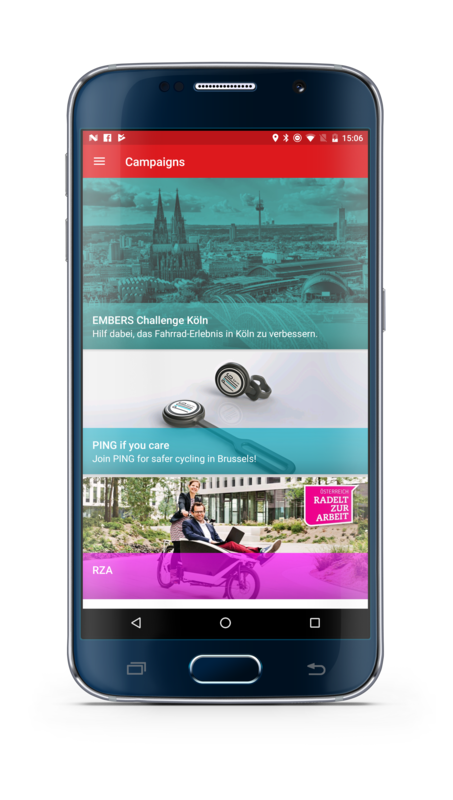 * Participating in the “EMBERS Challenge Köln” within the Bike Citizens app is only applicable for Android phones. But lucky you: Get the free Bike Citizens app and the free Cologne City Package - also with iOS phones! 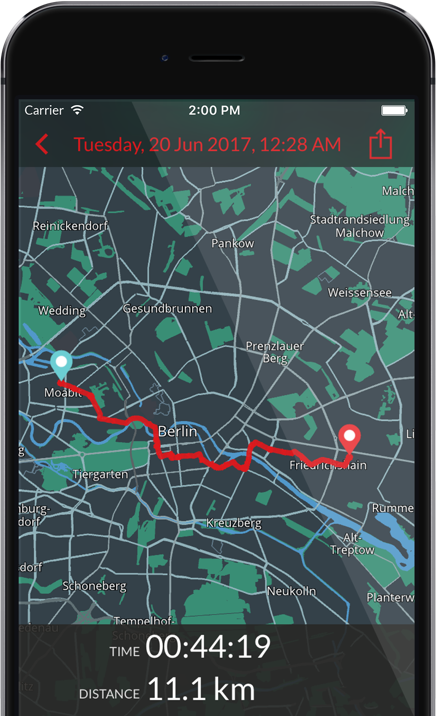 For the “EMBERS Challenge Köln”, the Bike Citizens App is enhanced with additional features based on the EMBERS technology. Use your bike and track your rides with the app. 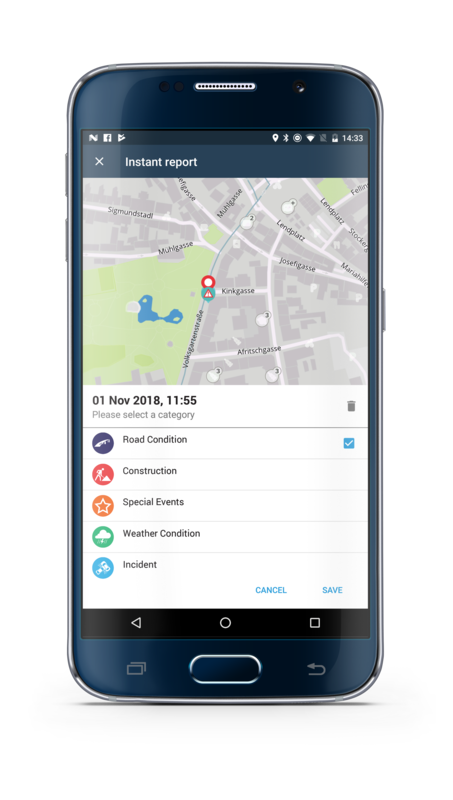 If you come across any obstructions on the road during your ride, simply mark the exact spot (via GPS) report the problem to the responsible employees of the city of Cologne. Get an overview on all road obstructions that were reported to the city, evaluated and published for the cycling community. With the help of the recorded usage data, the city of Cologne receives a visualized overview of the routes preferred by cyclists. The team of the cyclists expects this to provide important insights for needs-based cycling planning in Cologne and effective cycling concepts in the city districts. Download the Bike Citizens app now! If you have any questions, please read the Frequently Asked Questions here or contact us.